chess is interesting / Coffee / FIDE / Opinion / politics / Smile! This past week was NOT the first week of the 2018 FIDE presidential campaign. That infact started last spring when Makro & Co. tried to humiliate Kirsan Ilyumzhinov. In the year since, Kirsan has been actively campaigning whenever he visited a member federation, and according to his twitter last week he believes he has already 50 committed votes. I believe he is understating his support. 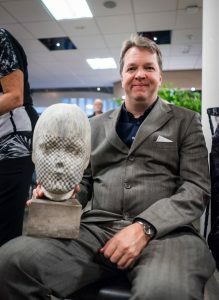 However, this week saw several developments in the chess world. First, Kirsan Ilyumzhinov was given the support of the for his re-election in October. Second, English superstar Nigel Short threw his hat into the , making him the third candidate, after Makro and Kirsan. Neither Short nor Makro have yet done any campaigning, though social media indicates that Short will visit 7 African countries in coming days, sponsored by Kasparov’s foundation. Will the question of US sanctions matter to voters? While this question obviously is important to all 3 campaigns, it is especially pivotal to both Short and Makro, who have no Plan-B to fall back on. Personally I believe that it is an error of judgement to try to put the issue of a bank account ahead of the sitting President. FIDE is not a bank, and never will be one. 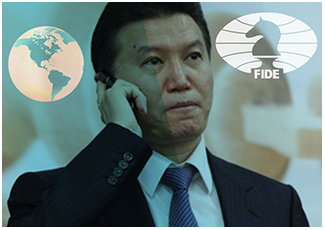 FIDE is a federation, one of the largest in the world. In October a very small minority is going to vote for a bank account. 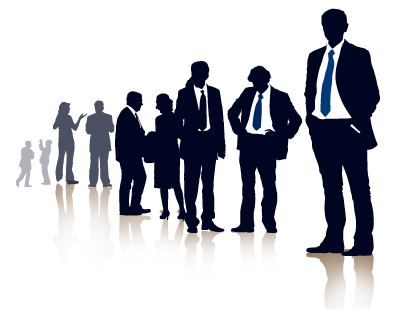 The vast majority will be voting for the FIDE presidency. If the technical question of a bank account is not solved before then, then the voters will likely be very angry with the FIDE presidential board (Makro & Co.) and will do what normally happens in a crisis: they will vote for a strong President who can confidently solve the problem. I have read what a lot of commentators on the social media have written on the subject of a 3-horse race. I think that not one has stated the obvious: Nigel Short is Kasparov’s proxy. I don’t criticize Nigel for running. He has enough enemies everywhere. Nigel is a normal person, even likeable. I get along with him reasonably well. I say this despite his obvious lack of skill/tact in dealing with people, notably when differences of opinions and values become clear. And when the media is lurking about, Nigel does not spare anyone. Kasparov can be a jerk (at times), but we all forgive him. The same will not likely be said concerning Nigel. But the real advantage to Kirsan of Nigel running is that it can be expected that Makro and Nigel will join forces at some point. When that happens, every federation that voted against Kasparov in 2014 (and 2010 before then), will vote for Kirsan once more. South America, which stands at only approximately 50% support for Kirsan right now (in 2014 it was almost 100% if I remember correctly), will throw its support to Kirsan again. Better the devil that one knows, than the other devil.